The writing process is an artistic balance of raw text and meticulous proofreading, copy editing, and revising. Your initial thoughts need to be crafted into clear language that your target audience understands. Since school starts back up this month, I decided to dedicate each Thursday in September to copy editing and proofreading tips for specific writing situations. Here’s the first installment of my Proofreading 101 series. People like instant gratification and the accelerated versions of activities: power napping, power workouts, power lunches, etc. It’s only natural that you’ll find yourself in a situation where you need a power proofreading. 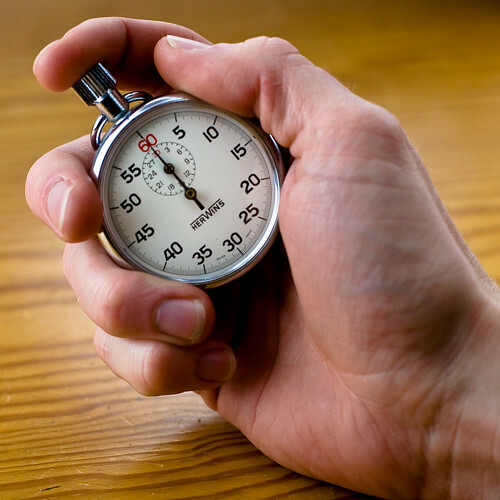 Sometimes you know that your writing is not up to par, but the clock is ticking and you need a complete draft fast. For example, you need to dramatically improve your copy within the hour, and you don’t have time to hire a freelance proofreader. How can you make the most of the limited time that you have to proofread your draft? Treat proofreading as its own special event. Proofread with the same creative energy you use when writing. A power proofreading utilizes your time properly and helps you make significant changes to your writing. You miss a great opportunity to catch mistakes when you lightly scan your text. You think that you’re proofreading, but you’re really just wasting your time. When you proofread correctly, the words on the page are no longer your ideas. They’re foreign concepts. They’re letters hugging each other. They’re expressive building blocks. Take one minute to clear your mind. Step outside to get fresh air. Drink a glass of water. Listen to your favorite song. You want to momentarily forget about the document that you need to proofread. Read each word out loud slowly. This process needs to be exaggerated. Focus your attention on each word as you read it. Enunciate each word as if you’ve never seen it before. Are any sentences missing words? Are there typos? Incomplete, excessive, or convoluted phrases? Note every punctuation mark. Are your commas and periods used correctly? Do you have run-on sentences, fragments, or comma splices that need to be amended? Stop reading each time that you make a change to the text. Go back to the beginning of the document and start proofreading again in the same manner. Continue this process until you can read through the entire document without making a change. Spell check the document one more time. You may have mistakenly inserted an error while revising the text. Proofreading your document at a snail’s pace may seem painful and tedious, especially when you’re so familiar with the topic, but it’s the most efficient way to find careless word choice and grammar errors when you’re in a hurry. Only gloss over your writing to see if errors pop out at you after you’ve performed a thorough proofreading. Many writers make the mistake of reading too quickly and skimming weak areas of a document. Every part of your text must effortlessly make sense to someone who has never read it before. Use your time wisely by skipping superficial proofreading sessions. The word-for-word proofread is critical if you want to execute a power proofreading.